May 1999 - Already into the 2nd Refurb, this picture shows the re-fabricated compartment doors done by Gary Thompson of Cardiff, MD. 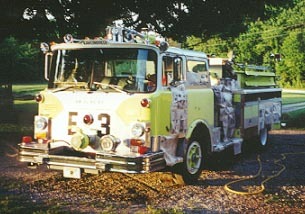 June 1999 - The fine sanding of a portion of Engine 3's old paint is almost complete. The compartment doors were removed and painted separately. 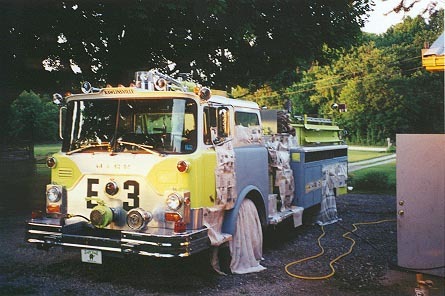 June 1999 - Almost ready for paint, Engine 3 is taped up to ensure no overspray gets on the chrome! 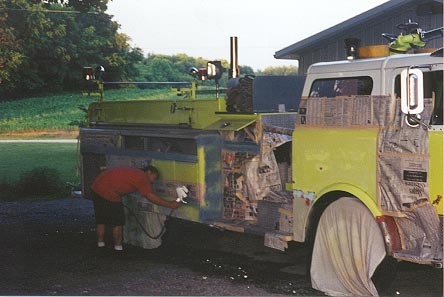 June 1999 - James Grimes applies a coat of primer to the officer's side of the Mack. James was a tremendous help in preparing and painting the fire engine. 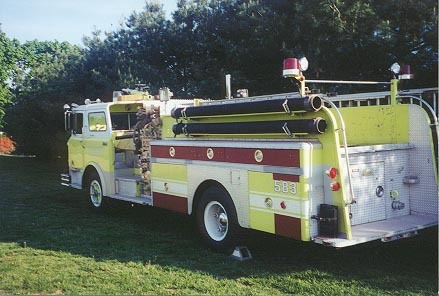 June 1999 - The primering phase of Engine 3 is now complete. Time to add the good stuff. 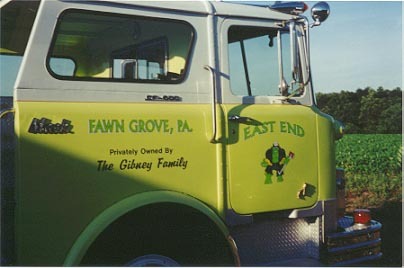 July 1999 - With a shiny new lime green coat, the next step was to add some lettering. 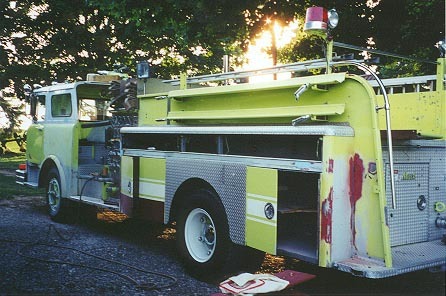 The members decided to remove the Rawlinsville lettering and go custom. Thanks to Jerry and Steve Anderson for their fabulous work. 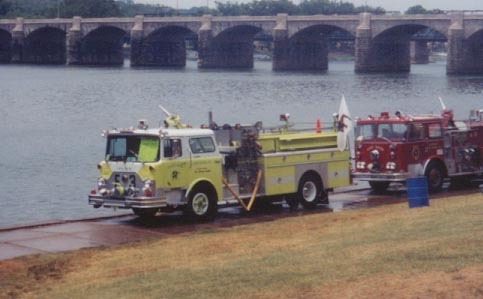 July 1999 - The 2nd Refurb was completed just in time for the 24th Annual PA Pump Primers' Muster in Harrisburg.